Two things that are not necessary to have amazing sound in your home: a huge budget or a complicated speaker system set up. It’s possible to have full, rich sound in your home without having to purchase an elaborate home theater system or spend hundreds of dollars on one really fancy speaker. However, if you are going to purchase one speaker for your home to spread sound evenly and beautifully throughout – it should be a soundbar. These are powerful one speaker solutions that work great if you’re looking to enhance your movie-watching experience or if you want to turn up the volume a bit on Friday night. But of course, you want the best soundbar. Soundbars can reach pretty high prices, however, if you’re not careful. There are soundbars out there that easily go for $600, $700. But that’s just not necessary to get a warm, accurate, full sound. You can easily purchase a soundbar for under $200 and get comparable sound to a model in the $500 range. And fortunately for you, this article that you’re reading has twelve soundbars that cost under $200! Check out the rest of the article for the sound bar reviews and to figure out which soundbar is right for you. Let’s take a quick look at a list of the best soundbars under 200 currently on the market, then we’ll get into the reviews. Perfect! Now let’s get into the details of each soundbar down below. Before we get into the review, let’s talk about one great thing that Amazon has started implementing. For electronics and more complicated purchases, you can actually purchase expert setup directly from Amazon. It’s perfect because they locally source the service but since you’re purchasing it through Amazon, the setup is still backed by Amazon’s satisfaction guarantee and they will back the service 100%. We think that’s pretty cool. Now, you may not need that for any of these soundbars but for a majority of them, the service is still offered! If you want it wall-mounted and the thought of mounting it and hooking it up to your TV terrifies you, then maybe you should actually consider it. This is one of the products where it is indeed offered. While you may be looking at a single soundbar, inside is actually four full-range high-quality speakers and two passive radiators that truly bring the bass to life. This works either via Bluetooth or a wired connection for those older devices that might not have Bluetooth. It also comes with an easy-to-use remote for ultimate control no matter where you are. This is an elegantly designed soundbar and you’ll want to show it off. So whether you want it below or above your TV, you can mount it wherever is useful for you. No matter where you decide to put it, it’ll easily fill the largest of rooms with a sound that’s full, crisp, clear, and deep. 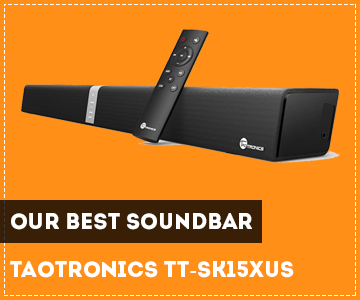 The TaoTronics TT-SK15XUS sound bar is truly versatile. Whether you want to use it primarily for gaming, music, or movies – this will deliver a powerful sound. It’s also very fairly priced and if you want a little help setting it up, you can purchase expert setup. Again, probably not necessary but if you truly have no idea what you’re doing, it is an option that exists. The next soundbar we have coming up next is from Richsound Research. RSR is not necessarily one of the more well-known brands commercially but if you’ve ever researched buying a home theater system or any sort of speaker, you’ve probably run into their name at least once. And if you never have, then welcome. They produce great sounding speakers at perfectly reasonable prices that will shock you. 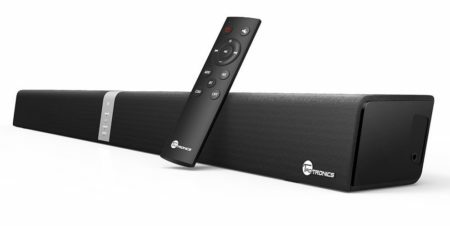 This soundbar is 32 inches long (yes, 32 inches) and if you didn’t know any better, you would think you’re listening to a $400 Bose speaker system. This is super easy to throw up on your wall if you want to mount it and why wouldn’t you? It has a very sleek design that will look good in any living room. It even comes with a wall mounting kit and guide! They couldn’t make it any easier. Just remember – only drill where there’s a stud! Anyway, this is Bluetooth compatible and the RSR TB220L truly delivers an immersive, room-filling experience. You can pick this up for a completely reasonable price as well. 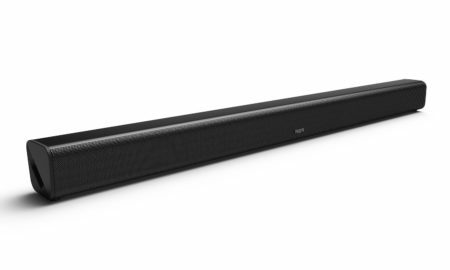 You’re gonna be hard-pressed to find such a sleek, powerful sound bar at such a great price. They really pack in a lot of quality at a reasonable, fair price. And if you’re a little skeptical about purchasing from a brand that you’ve never heard of before, Richsound Research offers a 12-month warranty. So you truly have no excuse. If anything goes wrong, just reach out to them. They actually offer exceptional customer service and will have you sorted out in no time. If you don’t want to spend anywhere close to $200 but still want a soundbar that’s going to give you the most bang for your buck, consider going with the RSR TB220L. We cannot recommend this little guy enough. Vizio has really made a name for themselves in the audio industry in the past few years. The Vizio SB2920-C6 is no exception to their recent trend. 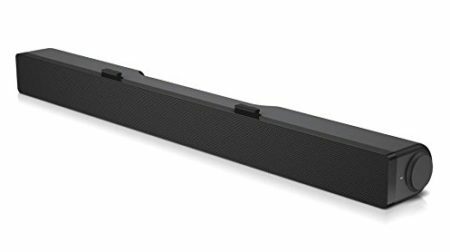 This soundbar from Vizio is 29 inches long, is Bluetooth compatible, and even includes a remote if you’re a bit more old-fashioned! You’re also able to easily wall mount this if that’s what you so desire. Usually, when it comes to wall mounting we have a “to each their own” mentality but with soundbars, we highly recommend figuring out a way to mount it. It just really adds to the effect when it’s right below your TV. Not to mention, soundbars usually look very sleek and will add style to any living room. The SB2920-C6 also features DTS TruSurround and DTS TruVolume. DTS TruSurround is a virtual surround sound solution that is used with soundbars to help create a more immersive sound that sounds more like, well, surround sound! It sounds very realistic on this soundbar in particular. DTS TruVolume, however, is a system that provides a consistent and comfortable sound level no matter what you’re listening to. Have you ever watched a movie where the music is super loud but you can barely hear the dialogue? Annoying, we know. This technology helps to combat that. All in all, Vizio has delivered a high-end soundbar at a price that we love. This has a top spot on our list and is going to be a tough contender to beat out. We cannot recommend the Vizio SB2920-C6 enough. Okay, maybe you’ve never purchased a soundbar before and aren’t convinced of their usefulness and don’t want to spend a ton on your first purchase. Or perhaps you’re just on a budget and want a soundbar with high quality at a truly rock bottom price. Whatever the reason – the DAMI Soundbar provides an excellent low-budget option without having to sacrifice too much on sound quality. 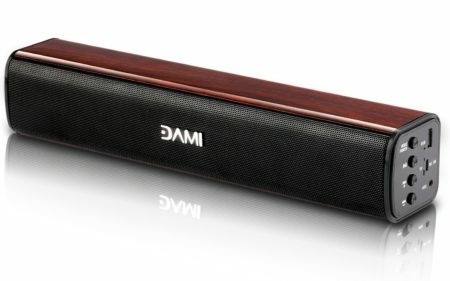 This soundbar from DAMI has a built-in subwoofer so you get pretty decent bass from it. It provides you with distortion-free sound, even when turned all the way up to maximum volume. It also features an elegant wood design that makes it look high end and provide some warmth to the design. It features LED lights as part of the design as well to make it easy to tell which mode you’re in and whether the power is on. This speaker even has a built-in microphone so you’re actually able to use it to answer phone calls without having to disconnect your phone from Bluetooth. Pretty cool! For the price, we have to say we were genuinely shocked at the quality and features that DAMI managed to squeeze in. We’re not sure any other soundbar has a built-in microphone. Also, the wood design on top is a nice touch that definitely makes it feel a bit more high-end. If you don’t want to spend a ton of money on a new soundbar for whatever reason, then we highly suggest going with the DAMI soundbar. You won’t find this much quality with any other soundbar at this price point. Period. You’re only a few dollars away from a rich, full, magical sound filling up your living room with your favorite music or movie. Most soundbars we’re going to include on this list are going to be primarily used for your TV/living room. However, if you play a lot of games or watch a lot of movies on your computer then you should consider the Elegiant USB Powered Soundbar. This is perfect if you have a nice big monitor on your desktop or if you live in a dorm and still want some decent sound when your roommate is away of course. It’s a very low-profile, stylish solution that we didn’t expect for the price. It looks much more high-end. But what about the sound? It sounds amazing. And since it’s USB powered, all you have to do is plug it into your computer and you’re good to go. Nothing to install, nothing to setup – just plug and go so you can be listening just minutes out of the box. It also features a headphone jack so if you need to plug your headphones in while using your computer, you don’t have to unplug the soundbar and then plug your headphones back into your computer. Simply pop them into the soundbar and you’re good to go – nothing to change, no hassle. While this is primarily designed for use with a laptop, it can easily be used with a TV as long as it has the proper ports in the back. This is a high-quality soundbar at a fair, reasonable price. We can’t get over how elegant it looks and how rich the sound is for under $50. Behind the screen, there’s a 360-degree stereo system that really will fill up any room with detailed sound. You’ll experience minimal distortion when you crank it up and all of a sudden, your favorite movies will sound beautiful and realistic. The Elegiant USB Powered Soundbar gets a giant thumbs up from us. Okay, we’ve included a few decent budget options but now let’s go towards the upper end of our $200 budget. The next soundbar is from none other than Samsung, a technology giant that is known for phones, TVs, and sound systems alike. 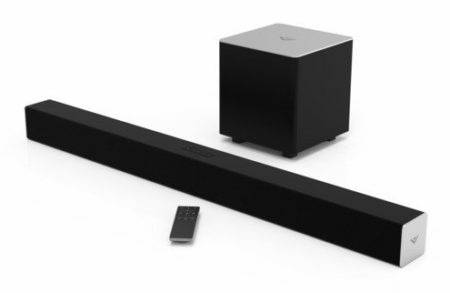 This is one of the larger soundbars on our list and measures at 37 inches – that’s over three feet! So make sure you have the wall space to hang this. It’s super lightweight and therefore super easy to wall mount. This is also the first soundbar on our list to include a subwoofer! So yes you are going to be paying a slightly higher price but you get a subwoofer. We’re excited. This is compatible with USB, Optical, TV Sound Connect inputs, and is also Bluetooth compatible as well. It includes a remote for ease of use and there’s also a wall-mounting kit included! It’s super easy to do. Even if you’ve never so much as looked at a hammer and nails – you’ll be able to mount this. It’s serious that easy. One thing to note is that the subwoofer does have to be wired to the soundbar. This makes sense however and is how we would expect it to be set up. All in all, this soundbar is everything we would expect from Samsung. It produces a vibrant sound and can easily fill the largest of rooms. It’s 37 inches long, so even if you have a wide-open living room and kitchen – this will easily fill every single corner. If this is cranked all the way up, you’ll still experience no distortion whatsoever. It’s the quality we’ve come to know, love, and truthfully expect from Samsung. And the price isn’t even that crazy – you can pick this soundbar up for under $150 at the time of writing. Not too shabby. 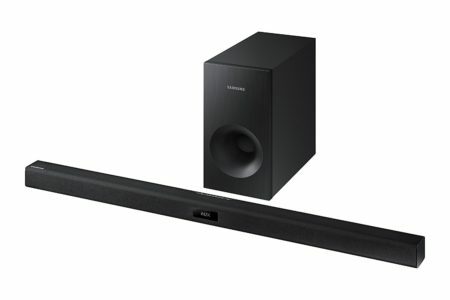 If you have a little bit more of a budget and really love your bass, consider picking up this Samsung soundbar/subwoofer combo. You can thank us later. If there’s anybody who can give Samsung a run for their money when it comes to audio systems, it’s absolutely going to be Sony. Sony is known exclusively for their audio and while yes, they do dabble in phones and other fringe products – their main focus is on speakers and other audio devices. So to say we’re impressed with the CT290 is an understatement. This Sony CT290 gives you an accurate virtual surround sound out of the soundbar and it will feel like you’ve set up a full home theater system with only the soundbar and subwoofer. Oh yeah, and it comes with a subwoofer to give you that extra oomph that you want with higher-end products. It features two separate modes as well, that we have never seen before on any other soundbar. There are voice mode and night mode. Voice mode makes every conversation crisp and clear and it will soundly resonate throughout the space. Night mode, however, modifies the sound so that it’s still able to sound clear and crisp even at low volumes. So no having to turn the TV down to the dreaded single digits, straining your ear to hear what’s going on. Or even worse – subtitles. Gasp! When you’re watching a movie, you will feel like you’re right in the middle of the action. You will be truly immersed in sound and will pick up on details that you didn’t even know existed. And when you use this for music, every note from every instrument will be evident. It’ll be like listening to your favorite song for the first time. This is a great soundbar that delivers with both movies and music. It’s easy to set up out of the box and it’s from one of the most reliable names in the audio industry. It is definitely at the upper end of the price spectrum for this article but once you take a listen, we think you’ll know why we recommended it. While the high-end soundbars are a bit more expensive there’s one huge thing that you get with the extra money – a subwoofer. A lot of soundbars have subwoofers built in but often times it’s just not the same as having a separate, dedicated subwoofer to provide you with the bass you want. They really help to bring action movies to life and give you the bump in your favorite hip hop song. With that being said, this Vizio SB3821 is a bit more expensive but you guessed it – it comes with a subwoofer. And a pretty good one at that. You’re able to easily wall mount this soundbar and it comes with a wall mounting kit and instructions. Easy and can be done in just a few minutes. This has truly expansive sound and reaches heights of 100 dB. Not bad for such a slim soundbar. And even when it’s cranked all the way up, you’ll experience harmonic distortion of less than 1%. The subwoofer is also wireless! So no need to run an ugly wire down your wall from the soundbar to the woofer. Your setup will look clean while still getting that deep bass. The design is sophisticated, you get a truly wireless experience, and the audio that comes out of the Vizio SB3821 is truly impeccable. This is a fairly inexpensive way to give your home audio system that little upgrade that it’s been asking for. This is the perfect mix of price and value. It even comes with a remote! It’s super easy to set up and doesn’t require any complicated settings or wires. Overall, very impressed with this soundbar from Vizio and it has quickly shot to the top of our list and is a top contender for best soundbar of 2018. We’ve already included one soundbar that’s optimized for use with a computer but we wanted to make sure we included at least one other option just in case the first one didn’t quite work for you. Surprising that this comes from Dell, we know. But it’s a decent option if you primarily watch your movies and listen to music through your computer. While this Dell speaker is specifically compatible with their monitors and allows you to attach it to the bottom, this is still a great budget option for a soundbar even if you don’t have a Dell monitor. We say budget option because this is truly the cheapest soundbar on our list and costs only $25! For only $25 you will get a sound that will transform both your music and your movie listening experience. It gives you a beautiful crisp and clear sound that you will be surprised is coming from such a small soundbar. Also if you need to switch back to using headphones, no need to unplug it from your computer. There’s a convenient headphone jack on the side for you to easily plug your headphones into. As we mentioned, it’s compatible with its own monitors and includes a T-hook for you to easily hang if it is compatible. If not, then no worries. Just place it underneath your monitor or on your monitor stand if you have one. Or if you’re really crafty, you could mount it on a shelf behind your monitor. 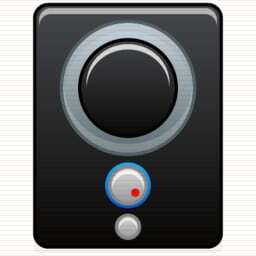 There’s also a volume control knob on the right side for you to easily and precisely control the volume. For the price, you can’t really go wrong. And the sound isn’t half bad either. This is highly recommended if you do a majority of your media consumption on your computer. We know that this is third Vizio soundbar that we’re including on the list but they are really killing the soundbar game. They’re the ones who are truly offering the perfect combination of price and quality and they deliver again with the Vizio SB3821-D6. This reaches max volumes of 100 dB and will fill the largest of rooms with crystal clear highs and mids as well a deep, powerful bass. And if you think that cranking this up to max volume is going to cause distortion – think again. You’ll actually experience less than 1% of harmonic distortion. We can handle 1%. As you can tell, this does indeed come with a subwoofer and it’s a fairly powerful subwoofer. You’ll be able to experience sounds as low was 50 Hz. That’s bass you can not only hear but feel on your favorite song and movie. Also if you download the Vizio app, you can access your favorite media and cast it to the speaker with absolutely no trouble. Also similar to Bose’s multi-home system, you can set this up with multiple other Vizio speakers if you have them. Overall this a great soundbar/subwoofer combo from Vizio yet again. We love that you can connect it with other speakers, we love that the subwoofer goes to 50 Hz and we even love how easy Vizio’s app makes it cast your favorite media to the soundbar. You experience virtually no distortion and you’ll really appreciate it. Not to mention the design is very sleek and will look great mounted underneath any TV. This also is a perfectly reasonable price. If you’ve never tried a Vizio product, we highly suggest you go with this one. It’s the perfect intro to Vizio and you’ll have a beautifully upgraded audio system for your home. Pyle is well known for making pretty high-quality component speakers so it’s only natural that their soundbar would be decent as well. It’s 23.8 inches long and is ideally recommended for TVs 32” and higher – this gives you a really powerful sound. This doesn’t come with a subwoofer like the past few but it has a truly powerful subwoofer built in. Normally when companies say that about their soundbar, it’s not that great. In this case, however, it really is the case. If you didn’t know any better, you would think that there was a separate subwoofer underneath providing the bass. It truly is that great. You’re not able to wall mount this but you can easily put it underneath the TV on a shelf or as part of your entertainment system and you’ll still experience the same results. It includes a remote and is indeed Bluetooth compatible. Because of the built-in subwoofer, the sound really is well-rounded. You’re going to get rich, clean, crisp highs, smooth mids, and cinematic quality lows. This will make you re-think any action movie as well as bring to life your old favorite songs. A few little extras included with this Pyle speaker is the SD card reader and USB flash drive readers. We have to admit, this is a bit of an old school necessity but it’s still nice to have if you have any lingering media on either of those devices. This is decently priced as well and falls right in the middle of our $200 budget. This isn’t the fanciest-looking soundbar in the world but you know what? It gets the job done. It sounds great, it’s Bluetooth compatible, and includes a built-in subwoofer. What more could you want for the price? We highly recommend the Pyle 300 Watt Bluetooth Soundbar. To round off our list, we decided to include one more soundbar from Samsung. 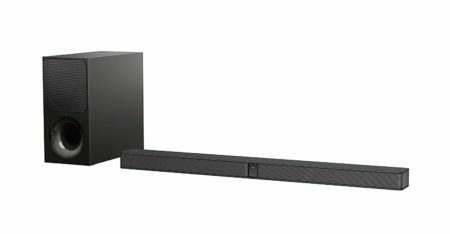 This is by far the longest soundbar on our list and that really adds to its ability to be able to provide an immersive, surround sound experience. It comes with a subwoofer as well to supplement that crystal-clear high and smooth mids that you’ll be getting from the soundbar. Because of the sheer length of the bar, it pushes out the sound to the far corners of any room that you choose to use this in. This is also super easy to install and you can be up and running just minutes from it arriving. You’re also able to pick this up at a pretty reasonable price. One thing to note is that this product at this price is actually offered through Amazon’s Certified Refurbished program. This is offered through Amazon so you can trust their vetting process and know that they’re still going to stand behind the quality. Also, there’s absolutely nothing wrong with a refurbished product. In fact, each refurbished product goes through individual product testing to make sure it’s up to standard. So it can be guaranteed that it was personally tested and approved. While products in regular production are often just spot checked. As with any electronic purchase, it can be a bit difficult to sift through a lot of the specs and keep track of every element. There are a lot of different features that seem to be included but do you even need them? And what about the features that you do need, they may not be advertised straight up but are they included? Check out our handy buyer’s guide to make sure you’re getting the important features that matter to you and the best soundbar under 200 possible. If having deep bass matters to you, see if the soundbar you’re getting comes with a subwoofer. Some will have a subwoofer built in but be careful – these often don’t perform quite as well as a stand-alone subwoofer. This is especially true if the soundbar is thin. However, the thicker soundbars can easily accommodate a decent subwoofer without having to include an additional one. Is the speaker Bluetooth compatible? If you’re planning on using this soundbar primarily or exclusively for movies with your TV, then this shouldn’t really be a big deal. However, if you also want to be able to easily connect your phone to play Spotify, Pandora, Apple Music, etc. 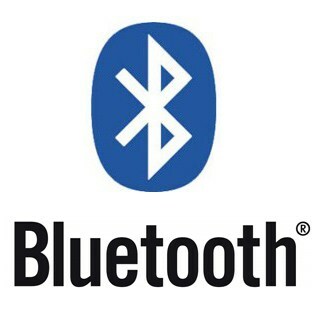 – then Bluetooth is a must. Most will probably come with it but not all so make sure you’re on the lookout. The length of the soundbar isn’t too important but it can help determine how ‘surround sound’ the sound actually is. The length can vary from 15 inches up to almost 40 inches. If you have a larger room or will be watching a lot of action movies, consider getting a longer soundbar to help you fill the entire room. If you plan on setting up your beautiful new soundbar underneath your TV, neatly mounted on the wall – first make sure that the soundbar is able to be wall mounted! It may sound silly, but not every single soundbar comes ready to be mounted straight out of the box. If it can’t be mounted, then you may have to get creative and first install a shelf. If there’s one thing this list proves, it’s that you don’t need to spend a ton of money in order to get a high-quality soundbar that will give you good quality, immersive, rich sound. Every single soundbar on this list will be a great addition to any audio setup you have at home. But of course, there can only be one winner. There can only be one best soundbar under $200. But which one is it going to be? There was some stiff competition and it ended up being pretty close but one did emerge a winner. Was it a Vizio? Samsung? Maybe the Richsound Research? Well, the wait is over, friends! The best soundbar under $200 for 2018 goes to the TaoTronics TT-SK15XUS. which is also number 1 on our list. We also really liked the Vizio soundbar. It really was a toss-up between this and the RSR model but we had to give it to Vizio. It’s reasonably priced, includes a subwoofer, and really provides a crisp, clear sound. You get less than 1% distortion and can crank it all the way up to 100 dB. Not to mention, it looks sleek and will instantly upgrade the look of any room this is in. The VIZIO SB3821 is the clear winner and you will not be disappointed. As always, we sincerely thank you for reading. We write these articles for you and truly hope they help you purchase products that are right for you and improve your life at home. Happy listening, friends! Until next time.